The canyon of the river Uvac is nature reserve in south-western Serbia and certainly is one of the most beautiful area. 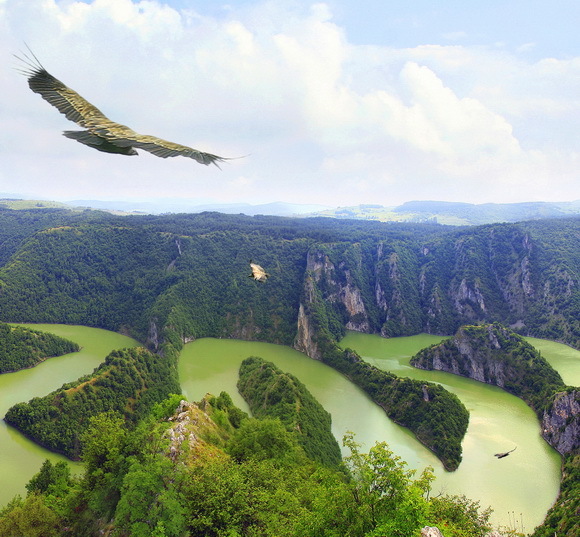 The Uvac Canyon is one of a few remaining habitats of Griffon Vulture, rare birds of vulture eagles. Its fluvial course is extremely winding. 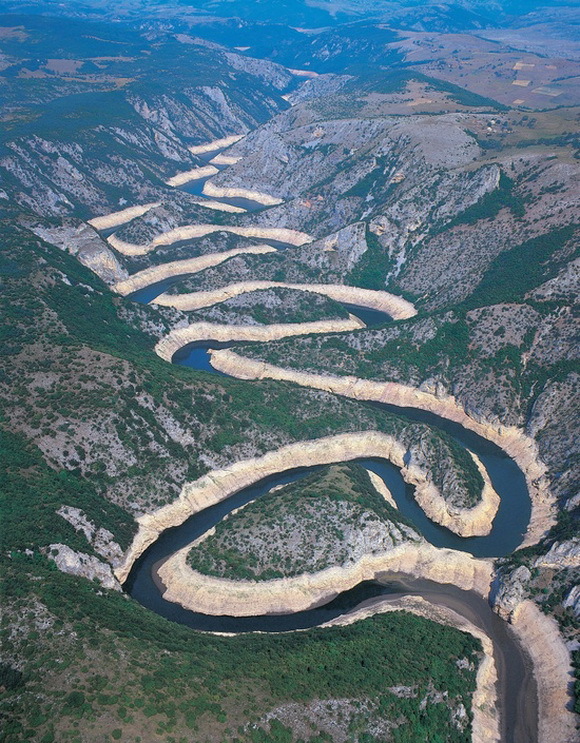 The Uvac canyon is so picturesque with countless meanders and caves … right place for wild adventure. 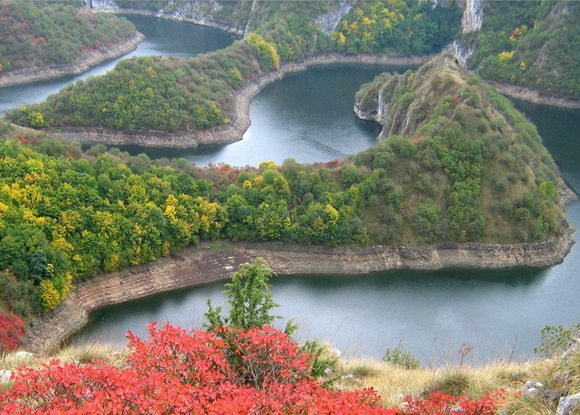 The Canyon Uvac is wedged between two “gold” mountain: Zlatibor and Zlatar. The river Uvac is about 100km (62mi) long and passes through this famous canyon where the river makes picturesque meanders that you can observe from a cliff in the vicinity or directly from the river, while you are sailing with a boat. In any case, you should not miss to see the canyon Uvac from as many angles and perspectives as you can. Photos and impressions are always different and unique.